Explaining Surrogacy to Your Kids: For Intended Parents - Kinsey Law Group, P.C. Every family’s journey is different. Some intended parents choose surrogacy for only one child, while others move through the process multiple times to grow their families to the size that feels right. If you had a child before your fertility issues arose, or if you have children from previous surrogacy arrangements, you’ll need to explain surrogacy to them before the next little one arrives. Otherwise, they may be confused and unprepared for the appearance of the new baby. Here are some tips for letting your child know about surrogacy. Openness and transparency is the best policy for this topic, as it is with many other topics you’ll have to explain throughout your son’s or daughter’s childhood. Children can often tell when things are being kept from them, and if they suspect anything less than honesty on your part, they may view the whole event with suspicion and anxiety. Probably you have some photos of your other kids’ births around the house, in albums, or on the computer. Show your kids the pictures of the momentous occasion when they were first placed in your arms. If possible, show them photos of the surrogate who is carrying the new baby so that they can put a face with the concept. You can also show them ultrasound images and point out the baby’s limbs and features. Once you explain about the baby being in another mommy’s tummy for a while, get your kids involved in preparing for the baby in any way that you can. They won’t have the opportunity to watch your belly expand over the nine months or to feel the baby kicking inside, but they can begin building a connection to their new sibling in other ways. They can help you pick out clothes and toys, prepare the nursery, and perhaps even make cards to thank the surrogate for her help in giving them their baby brother or sister. Explain the role of various individuals and groups involved in the process, such as your assisted reproduction attorney and the surrogacy agency. 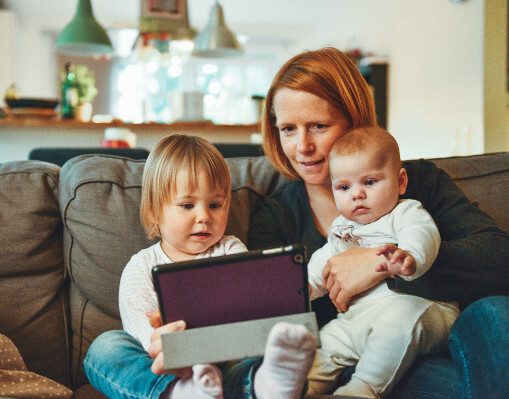 As you explain surrogacy to your children and wait expectantly for your new little one, check out some helpful books that teach kids about surrogacy. A Tiny Itsy Bitsy Gift of Life by Carmen Martinez Jovel is about an egg donor, while Why I’m So Special by Carla Lewis-Long explains the topic of Surrogacy. There is also Sacha, the Little Bright Shooting Star by Sofia Prezani. If you use these resources, remember that your own open-hearted, honest words are still the best way to help your kids understand and embrace the idea of surrogacy.